I have much for which to be grateful. I’m grateful for the awesome workspace at Hacker Lab in which I get to make new creations and learn new skills; for the outreach opportunities that I took on recently, which you can read more about below; and for the challenges as well, because they continue to encourage me to examine my intentions and reassess my goals. Most especially, I am grateful for my customers and supporters, who encourage me to keep pursuing my dream of sharing my creative gifts with others. 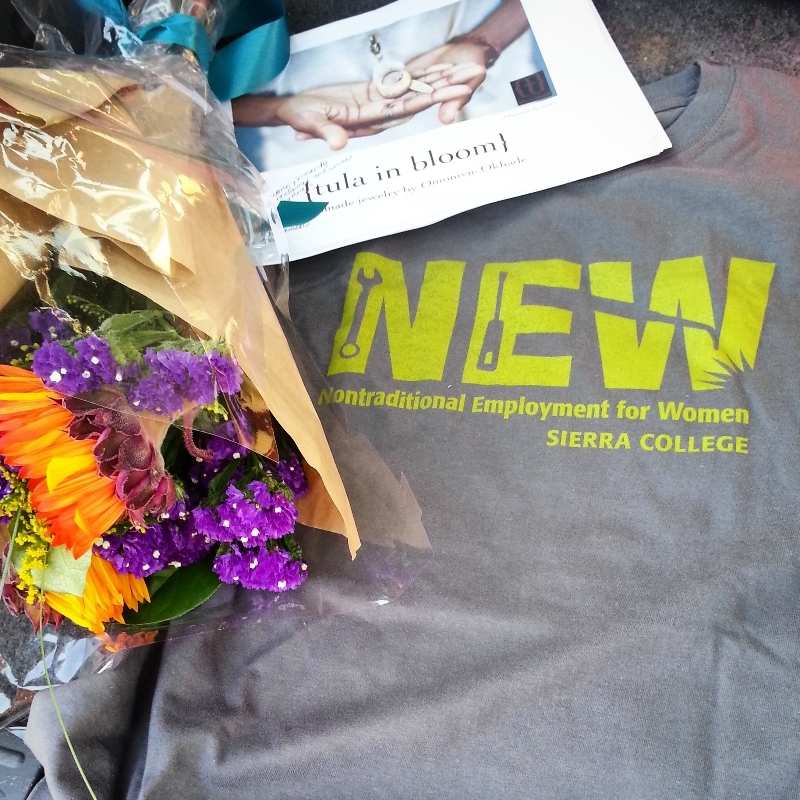 It was my honor and pleasure to contribute to the keynote speech at Sierra College’s Nontraditional Employment for Women (NEW) workshop, focusing on STEM (Science, Technology, Engineering and Math) and STEAM (add Art) careers in October. Along with Hacker Lab cofounder Gina Lujan, Liz Salmi, Director of Communications for Coalition for Compassionate Care of California, and Kristen Beck, PhD candidate and instructor for Girls Who Code, we spoke to a group of 100 high school women about how we embrace technology in our respective professions. Our main message was to explore personal interests and create opportunities by following their passions. I was delighted to receive an email a week or so later from one of the students, who shared how much she enjoyed our presentation and now felt more confident entering a technology-driven field while staying true to her creative interests. That message made my day and was the icing on the cake of the entire experience. It's my true pleasure to announce that tula in bloom handmade jewelry and decor will be available at Blue Line Arts Gift Gallery in Roseville! 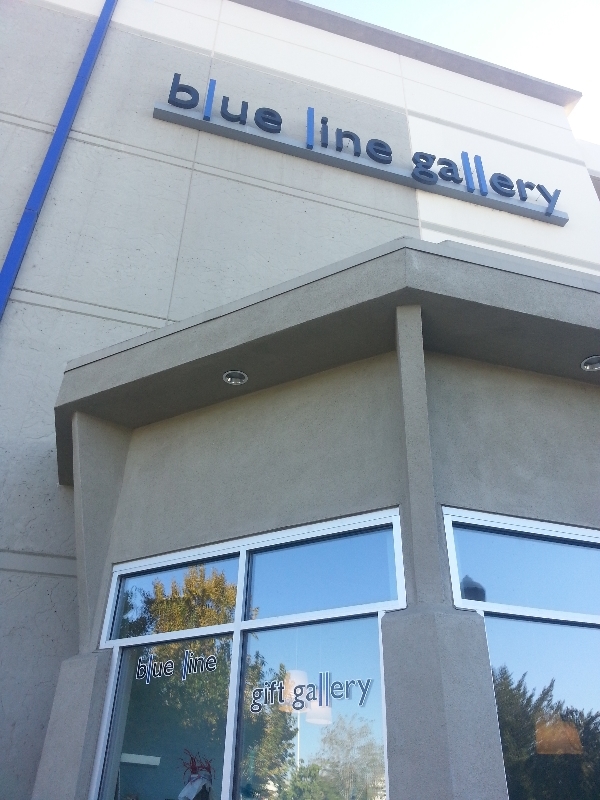 I’m excited to be a part of a distinctive gallery such as Blue Line Arts, a nonprofit organization showcasing the works of regional and national artists, and offers flexible exhibition space suitable for small musical performances, lectures, parties, and demonstrations. I’ve made new pieces specifically for this venue, so plan a trip to check out the space! Learn more at bluelinearts.org. I am working nonstop to prepare for an amazing show this weekend — Black Friday and Small Business Saturday to be exact! 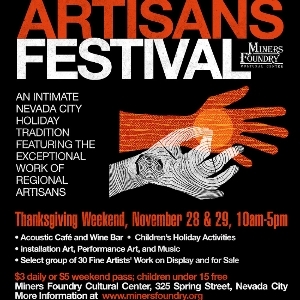 I have the privilege of being featured along with 30+ esteemed regional artists and makers at the annual Artisans Festival, November 28-29 at the historic Miners Foundry Cultural Center in Nevada City. It’s an intimate art show and sale featuring a wide array of works by painters, photographers, printmakers, ceramicists, jewelers, textile artists, sculptors, woodworkers and glassblowers. This year's festival features installation art, performance art, live music and children's holiday activities and is the perfect holiday event for both locals and visitors looking to give the gift of art. Learn more and plan your visit by clicking the link below! MORE HOLIDAY EVENTS TO COME! The holiday season will bring more news of events and opportunities to find that special gift for yourself and loved ones, so be sure to check my Facebook page for updates, and you can alway order online at tulainbloom.etsy.com. As a special thank you, enjoy free shipping on all purchases of any amount starting Friday, November 28 through December 24 (order by December 20 to receive by Christmas!). Enter coupon code THX4U at checkout. The season of gratitude lasts all year!